 This polished tank is elegant and refined, and a staple layering piece for throughout the seasons. 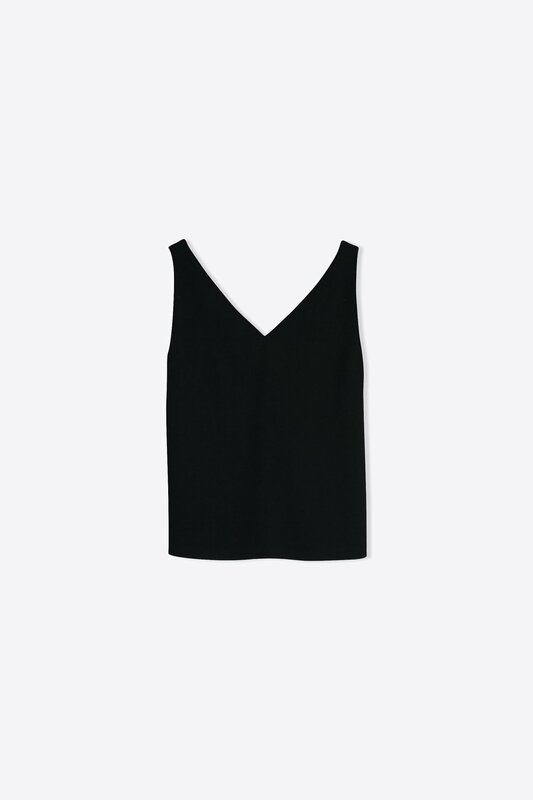 Featuring a front and back v-neck, a classic fit, and a fluid fabric that will drape beautifully against your silhouette, effortlessly style this tank into any outfit. Pair with shorts and sandals for an everyday summertime look, or pair with culottes and heeled mules for a sophisticated evening look.